May 16th in Wordpress Plugins by Wordpress Jedi . Plenty of top websites and online stores allow their users to login using their custom credentials. Care to add such feature to your website? 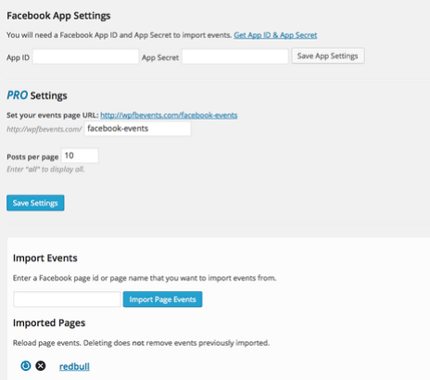 The WooCommerce Social Login plugin lets you do just that. It integrates with your login and registration pages and supports Amazon, Facebook, Twitter, Google+, and many other social networks. Building an online store with WooCommerce is not that hard. 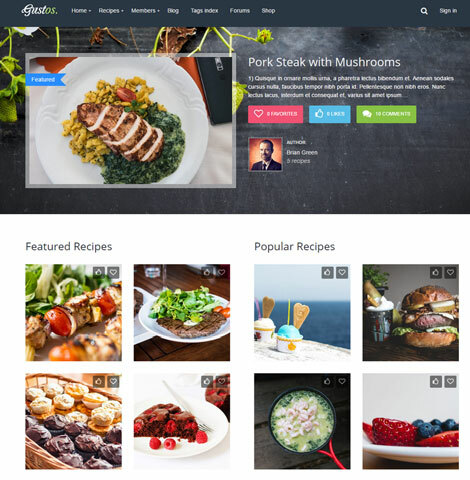 There are plenty of attractive WooCommerce themes and plugins that let you offer your customers more useful features. As we have discussed it here in the past, you will need to be creative and work hard to retain existing customers and attract new ones. Starting a loyalty program for your store can help. 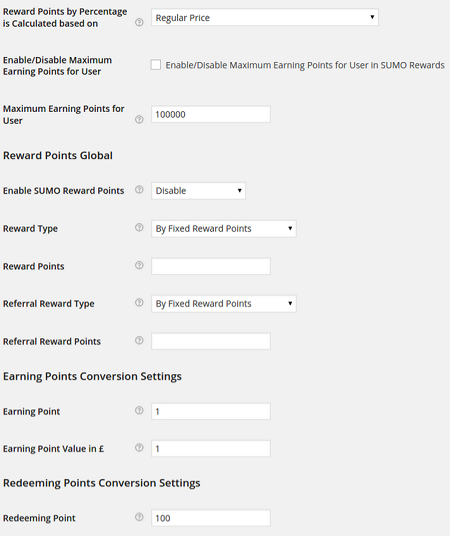 SUMO Reward Points for WooCommerce is a useful extension that lets you reward your customers or certain actions. February 4th in Social Media, Wordpress Plugins by Wordpress Jedi . The world of SEO has changed a lot over the past couple of years. But you can still drive traffic from Google and other search engines if you keep your site optimized. You shouldn’t forget about top social networking sites though. Facebook, Twitter, Google+, and Pinterest can all drive a ton of traffic to your website. You should track how often your posts are getting shared already to get a better idea how to optimize your content for social media. 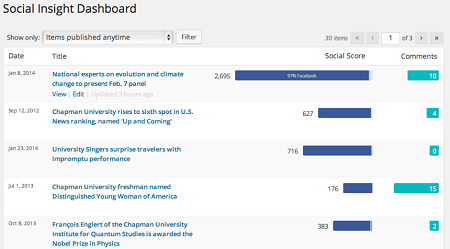 Social Metrics Tracker for WordPress is an interesting plugin that shows which of your posts are the most popular based on social media stats. September 14th in Wordpress Plugins by Wordpress Jedi . Many WordPress webmasters rely on WooCommerce to sell goods and services online. You need a good looking theme to set up an impressive shop. There are also many WooCommmerce extension that can take your shop to the next level. Want your store deals to go viral? You could offer folks a discount for Facebook likes. 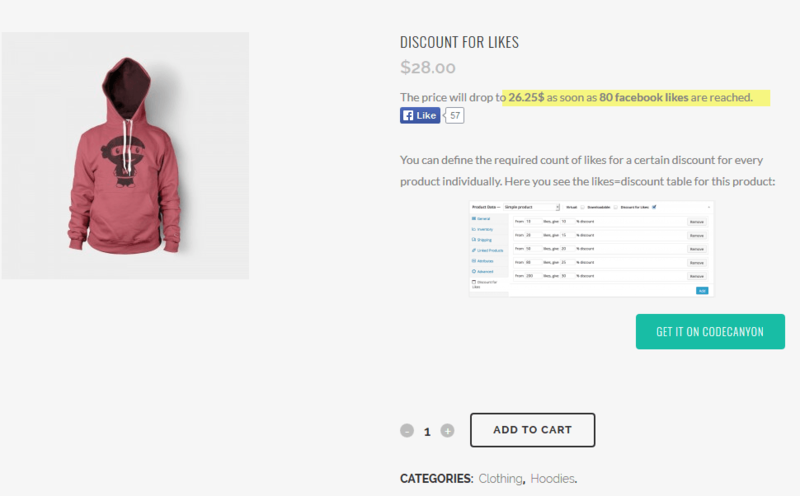 Discount for Likes happens to be a WooCommerce plugin that lets you offer a discount to your visitors in return for Facebook Likes.